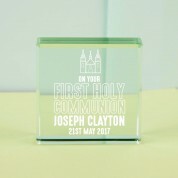 This precious Holy Communion glass block makes a unique keepsake to mark the important event in any child's life. 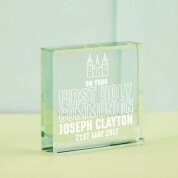 The design features an outline of a church, with the wording: “On your First Holy Communion.” This is followed by the child's full name and special date. The gentle jade hue of the glass will appear when it hits the sunlight. 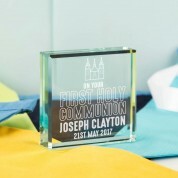 Visitors will be quick to comment on the quality engraving and unique design. 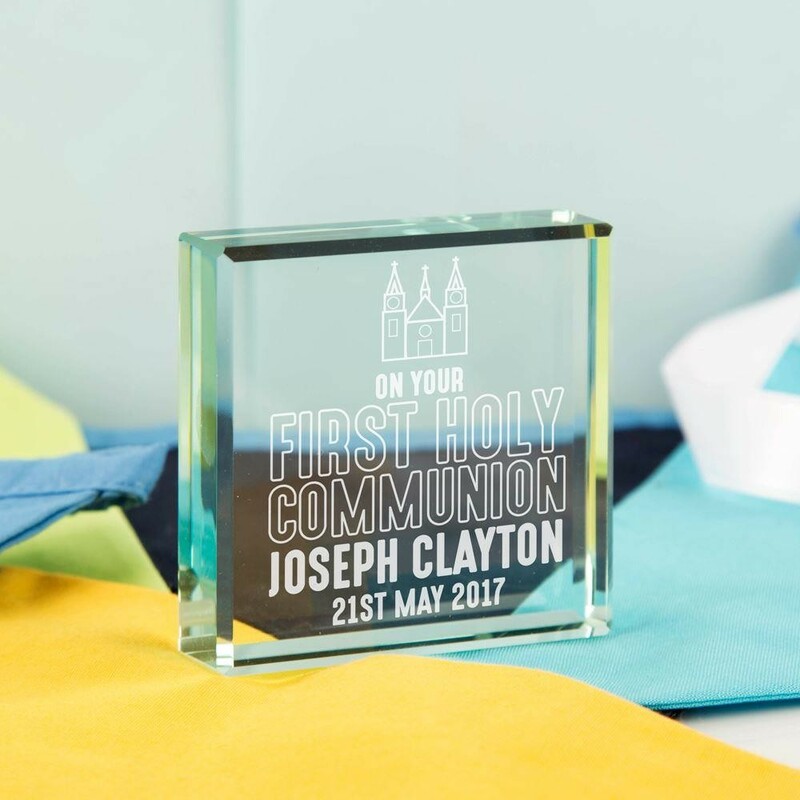 A beautiful keepsake that can be cherished for years to come.